Be sure to share on Facebook and Twitter, using the sharing buttons at the petition site. Jerome Jackson with other home defenders at the Hernandez eviction defense. Please call Fannie Mae now! 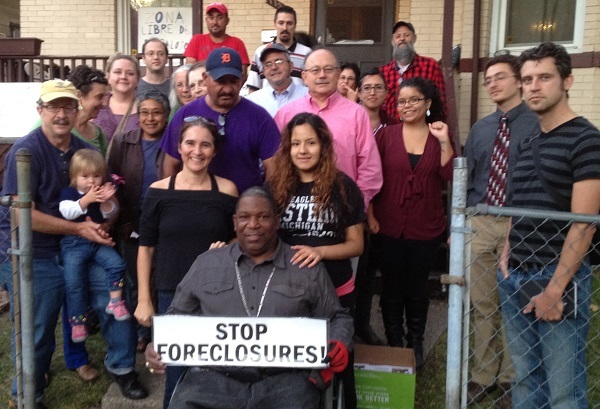 Tell them to STOP THE EVICTION OF JEROME JACKSON from his home at 3920 Harriet, in Inkster, Michigan.